The N.C. Chronicles. : Cafe, Canadian Association for Equality, has it wrong about men. Cafe, Canadian Association for Equality, has it wrong about men. First, most women expect men to be breadwinners, that’s a fact, but the statement I am most “offended” by is “aggressors”. 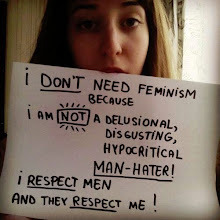 Men are not aggressors, that is a radical feminist message, we have daughters, wives, mothers, and we certainly are not aggressive towards them. We are protective of their right to be who they wish to be, cafe does not speak for me, nor do I want them to, under these circumstances. Aggressor is a word that can have many meaning but the main one would be violent, and that is not who we are. Cafe, if I read their message right, is making the same mistake feminists do, using words to twist what a man is. If we are aggressive it is against those who jeopardizes the freedom and safety of our families.